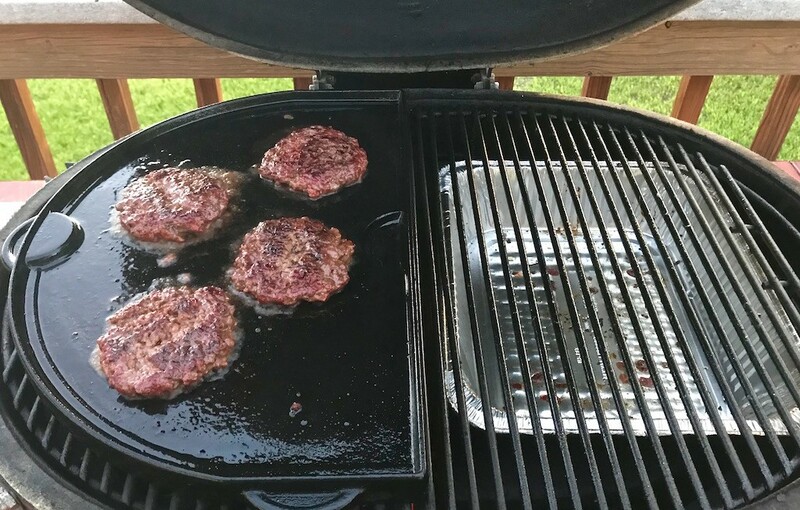 With spring and grilling season coming up, this is as good a time as any to mention that if you want to know what is in your beef patties for hamburgers, ou should grind your own meat at home. In stores, anything goes. This doesn't even go into proper sanitation. I like using chuck for burgers. It seems to have the perfect ratio of fat to lean. Do not, however, make the mistake of using a food processor as a grinder. 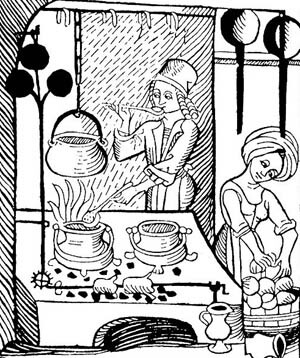 Food processors emulsify the meat, rather than actually grinding it, which will be reflected in the texture, taste, and mouthfeel. Never used a food processor myself but I'd probably give it a go if I had to. Maybe if you just used the pulse function and played with it? Arrrrgh, I don't know what I'm talking about. With the small amount of meat grinding I do, I just use my mixer's meat grinder attachment. It does a pretty good job. I probably wouldn't recommend that to anybody grinding more than a few pounds at a time or grinding several times per week but I suppose it would do okay until it didn't. Inexpensive dedicated meat grinders would be a step up but they make an awful racket and have to be stored and cleaned. These days meat isn't even ground on site. The "butcher" is some kid stocking the shelves. Ground meat is delivered to grocery stores prepackaged from a processing and distribution warehouse that has schedules, quotas and profit margins to think of. The heck with everything else. "What's that yer throwin' in the hopper Monroe?" "Dunno Oswaldo, its mostly meat ain"t it? Nobody's gonna know". Contrary to popular lab grown meat mythology, the only reason lab grown meat, clean meat if you will, will be able to get away with selling this product (for now anyway) is because it's ground muscle with fat added. Only the muscle fibers can be grown. No fat, connective tissue, or bone. But I digress. I know folks who cook wagyu burgers but that seems like a waste to me. Great burgers are more expensive burgers but let's try and keep this under control. A mixture of ground brisket point and chuck make great burgers. I know a guy who's favorite burger is a mix of ground brisket, chuck, and oxtail. It's a lot of effort to separate the meat from the bones in the oxtail but he does it. Just about any burger can be improved with the addition of a little fish sauce. You won't notice the fish sauce but the burgers will taste beefier. I imagine the pulse function would work, somewhat. But I'd still be concerned about overdoing it while you tried for an even "grind." For small amounts of meat, like up to a pound or so, chopping it by hand with a sharp knife does a better job, IMO. I dunno as there's any problem with those inexpensive grinders, G-man. I bought one in 1999 for just under a C-note, and it's still going strong. Used it just the other night, to grind some lamb. Not particularly noisy (although, truth to tell, it's gotten more so as the years pass0, and cleaning it is no different than other approaches. I originally bought it because I had a lot of game to butcher---5 deer, a couple of wild boar, and some exotic sheep. Figured at that price, if I only got a season out of it, it was worthwhile. It's more than paid for itself. I've only had experience with the one, though, and maybe it's an anomaly? Wagyu burgers are more than just expensive; they're a cheffy affectation. Think about it. What makes wagyu special is the amount of marbling. Marbling, hell, it's about half fat. Maybe that's good in a steak. But in a burger? Let's see; you take a high-fat-content piece of meat, grind it, then sear out the fat. What kind of sense does that make? I've tried the chuck/brisket mix, in the past. To me, the increased flavor profile isn't worth the added cost. Mileage may vary for others. Mentally, I have a good vibe about the brisket/chuck/oxtail mix. Don't know as I'd want to spend that much time on it, though. Not for burgers. I imagine a dedicated grinder in 1999 for around $100 is a much better machine than the el cheapos available now. I've seen them with everyday low low prices hovering around $50 and everyone seems to mention these machines work great. Just noisy. I've been tempted, more than once, to buy one of these. A quick look just now finds this model for $33.00. It even has an on/off switch. That's $22 less than I paid for my mostly plastic stand mixer grinder accessory. I could handle the noise more than the expense. Perhaps you're right, G-Man. But back in the day, 99 bucks was the low end. There weren't that many around, and after the one I bought they took a quantum leap in price. Mine is a Tasin, if that means anything. Came with the power source, screw, cutter, three screens, and the device to make that special Japanese sausage called kubbe, which I've never used, as well as a tamper, hopper, and one sausage tube. Only thing lacking, imo, is a 5/8" screen. I keep telling myself to buy one, except I expect the thing to quit every year. But, like the EverReady bunny, it just keeps going, and going. About a year or so back I happened to notice that Bass Pro (and, now, presumably Cabellas) had what appeared to be the same unit, branded differently. Ironically, it was still tagged at $99. I've heard that a mix of chuck and sirloin is also a good combination, but have never tried it; that is to say, I've never consciously tried mixing them, but they may have been combined that way in burger that I've bought. I want to say it is a 50/50 mix, but it may have been a more elaborate ratio. 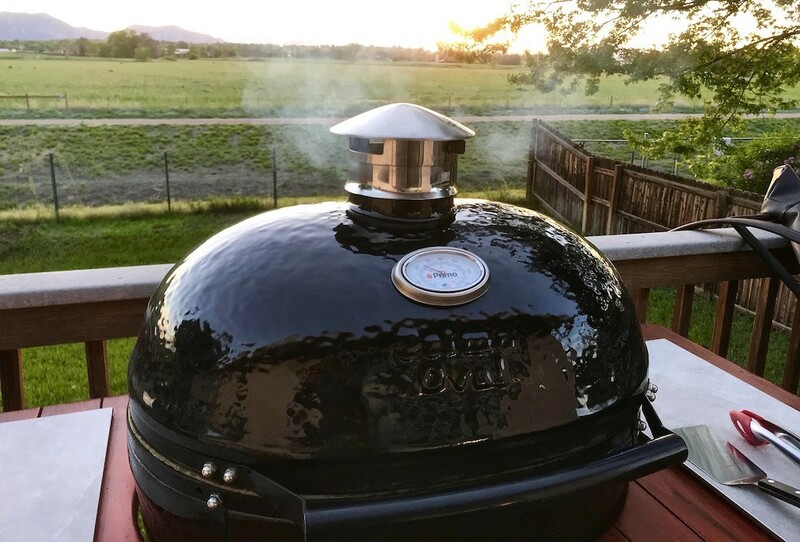 All of this talk has me wanting to bring the grill out, but with all of the fresh snow we've gotten, and temperatures in the teens, it just doesn't seem like a good time, quite yet. The cold doesn't bother me, but there are other related hassles. I read an article once where a guy tried several different formulations of beef cuts to make hamburgers, focusing on both taste and texture and what he came up with in the end was a mix of sirloin, brisket and oxtail. If I remember right it was about equal parts of each once the bones and gristle are removed. I have not tried it yet, as the cost would be too prohibitive right now, but I want to just to see how it stacks up to say, plain old ground chuck. I think that mix would produce a beefier flavor, Mike, primarily from the oxtails. They'd be required, anyway, to provide the fat missing from the sirloin. I used to work a short-order grill where the owner insisted on straight sirloin, cuz he wanted a reputation for providing top cuts. Trouble is, he never had to work the flattop when there were a dozen burgers going at once. With sirloin, if you turn your back for a second, the burger is overcooked. Alas. He would buy provisions by sight, rather than asking the supplier, and insisted that we use "white American cheese," cuz it was more flavorful. Yeah, it was. But that's because it was Provolone. But we never set his straight. Evil of us, I reckon. This is an important discussion. I am searching for ways to decrease burger shrinkage and increase moistness. This trick is helping some. Does anyone use a brine, soak, oil, or something to reduce this shrinkage and make moister burgers? I am aiming for something more like a Wendy's burger. I am a little embarrassed to be aiming for a fast food joint but the closest Wendy's is about 600+ miles from us. I have tried various mixtures of domestic and game meats as well as fat ratios without a lot of improvement (except in flavor) Matching burger and bun size has become a bit of a fixation. 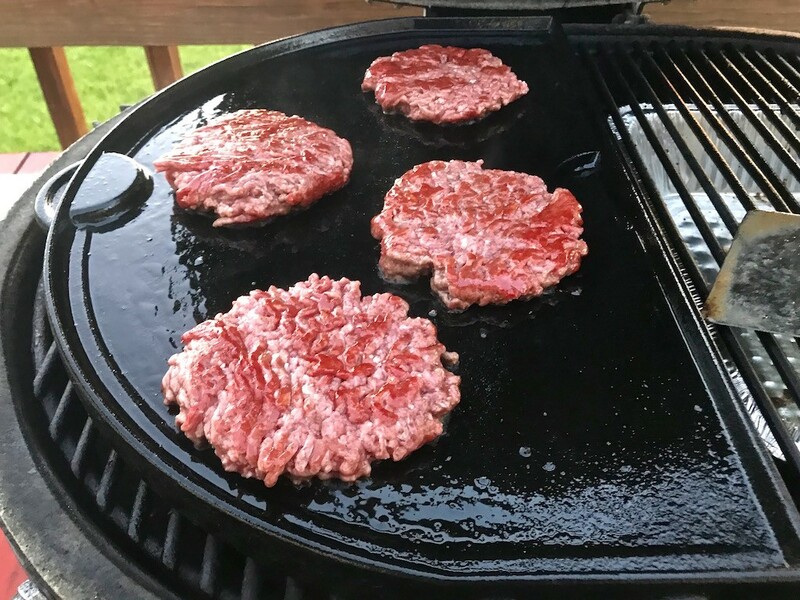 For those folks out there who may not have tried this, the method has several advantages over just throwing burgers on the grill. Firstly, because you aren't forming patties you can't overwork the burger meat. Secondly, you get smoked burgers which will be a real eye opener for those who haven't smoked burgers before. Thirdly, you can produce a better crust on hot cast iron. Finally, there's the juiciness that comes along with a quick and hot sear. At the minimum, start with an 80/20 mix of lean to fat ground chuck. Meat combinations like ground sirloin, oxtail and chuck that will elevate your burgers. Set up your rig up with fire on one side and nothing on the other. We are looking for a direct and indirect sides. Make a few good sized meatballs that are at least 1/4 lb each. They are going to shrink. 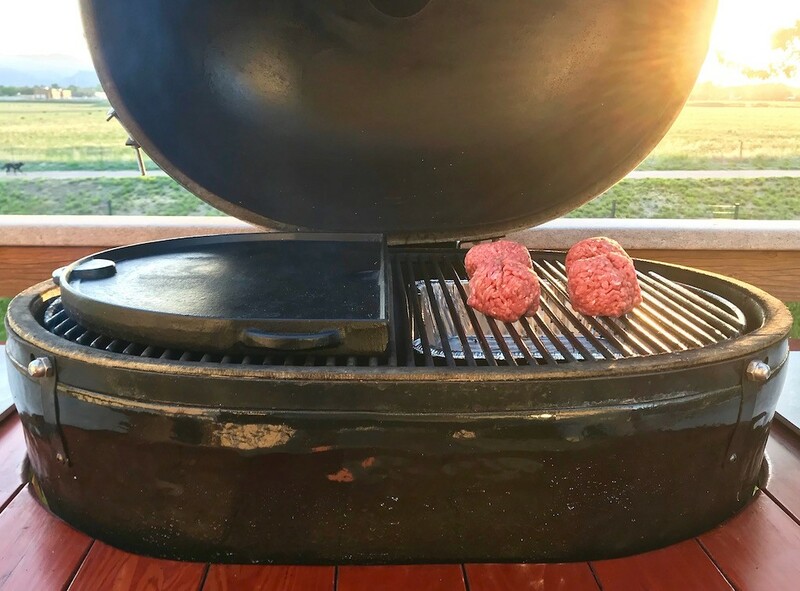 Place the meatballs on the indirect side and a cast iron griddle over the lit fire that has a chunk of your favorite smoke wood on top. I used pecan for this cook. When the griddle is good and hot place the "meatballs" on the griddle with a pair of tongs if you have em. Pick em up with yer clean hands if you have to. Just get em on the griddle and listen to that sizzle. Flatten them immediately with your fancy Italian hamburger flattener/spatula. If you have done this right, they will flatten with very little effort on your part. This is a good thing because you will need to save your strength for chowing down and perhaps wrastling lookie loo's for the last burger. Flip em again. Bread em, dress em, and graciously accept the many accolades (all while keeping a watchful eye on that last burger). It has a really nice polished surface so smooth sear and easy to clean. Wagner CI is awesome but difficult to find and they can get pricey these days. I'd love to have one. FWIW I dumped most of my rough Lodge cast iron pans in favor of carbon steel. It has all of the best characteristics of cast iron great but weighs a little less. It becomes non stick with seasoning and use. Best of all, a carbon steel cooking surface is as smooth as glass. 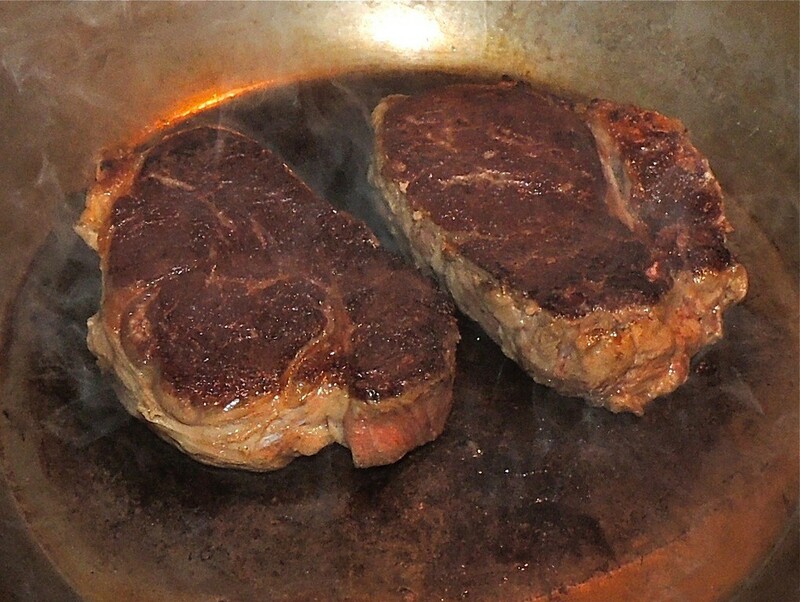 Here is an example of a carbon steel skillet steak sear when this 12" skillet was fairly new. They turn black with regular use. More than just a little less weight, G-man. When I first started touting carbon steel (also called "black steel," btw) I did some comparisons. Piece to piece, the carbon is about 1/3 less weight. A considerable savings, with no loss of benefits. The downside is cost. Black iron can get a little pricy (as I recall, my 14" skillet was something like 165 bucks). But, to me at least, it's worth it in the long run. My deBuyer 14" carbon steel skillet with helper handle was $80.56. It's a big pan. Matfer has a line of carbon steel that is very reasonable. The handles are welded to the pan rather than riveted. Lodge has a line of carbon steel that is even less expensive. They are rough just like their cast iron. I really don't understand that. That it is. Mine is also a deBuyer, but lacks the helper handle---which I wish it had. I have a set of 8-10-12 inch pans, also deBuyer. They were a gift, from a former editor, and I have no idea what they cost. The Matfer line has always been less expensive than the deBuyer. After one look at the Lodge stuff, I passed. I don't understand the roughness, either. Something those contemplating black iron should be aware of: the slope, from rim to bottom, is rather severe. And the nominal size is measured from the rim edge. In use, this makes the pans smaller, in a sense, than their nominal size. The nominal 8-inch pan, for instance, has a bottom that's only 5 1/4 inches in diameter. Of the four I own, I'd say the 12-inch is my most commonly used, followed by the 14. I have the same set along with the 10 & 12" saute pans also called country fry pans. I bought all of these pans from a site (Chef's Catalogue) that has since gone out of business and then resurrected itself. I believe Chef's Catalogue was charged with liquidating the deBuyer Mineral line of carbon steel which was being replaced with the Mineral B line. B meaning beeswax which deBuyer began coating their steel with for shipping purposes. Mineral B's are quite a bit more expensive. The pans I bought were such a great deal at the time I just had to. The 8,10, 12 and 14" ran about $200.00 total. I can't find the receipt for the saute pans but I remember I couldn't pass them up. When compared to the stainless steel All Clad set I bought many years ago these were a bargain. The All Clad sure is pretty but the carbon steel has better function. My 12" is always at arms reach. The workhorse for sure. deBuyer is not the end all of carbon steel pans but they are heavier gauge than less expensive brands and finished with the homeowner in mind. The epoxy coated handles are one example of this. I don't see commercial establishments spending extra money for such frivolities. Carbon steel never really took of in the US with the exception of restaurant use but they are popular in Europe. We seem to have a thing with cast iron. Nothing wrong with that but the roughness of the cooking surface on those produced now and the ridiculously small handles, considering the weight, makes them obsolete IMHO. It's tough to convince people of this. Especially when they look the way they do after use. If you want pretty, gleaming pans hanging in your kitchen, these are not the pans for you. It is taking all of my self control to resist diving into a cast iron discussion. I have been lucky enough to find almost all Wagner Ware, Erie, & Griswold with their polished surfaces which are much nicer than Lodge. I have some steel cookware but just do not like it as much maybe just because I am a creature of habit. Any way, back to juicier burgers. Even on our last cruise the galley managed to bring out big serving trays of juicy hamburger patties that showed almost no shrinkage. These were pretty obviously pre-made, frozen patties. Any guesses what their secret might be? 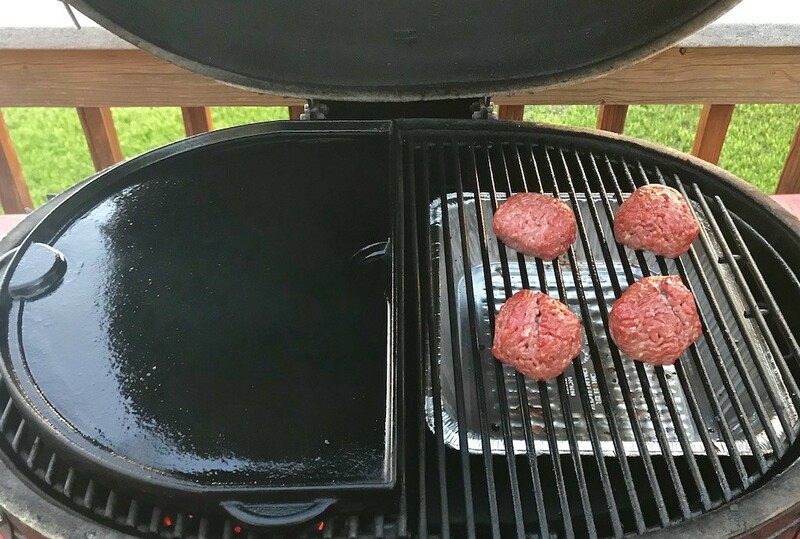 I have a cast iron press but that does not seem to help much with shrinkage and may even make the burgers drier since it squeezes juices out. I don't know as there's any secret, Karl. If so, it revolves around fat. A mixture of 80/20 lean to fat seems to be best. And it's important to not, repeat not, press down on the patties with a spatula, as they cook. That's a sure path to dried out burgers, because you are squeezing out all the juices. Other than that, the thumbprint, as in your photo above, helps. Burgers plump as they cook. If you put the thumbprint in, they rise up to an even surface. If not, they get a pregnant belly. Aesthetically, that's not as pleasing. But it shouldn't affect moisture content. 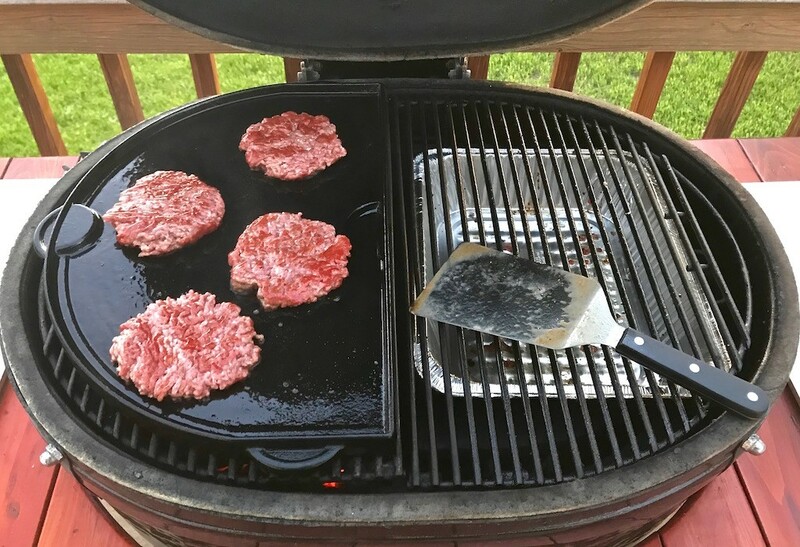 Personally, I prefer a griddle type surface to a grate when cooking burgers. That gives me a nice, even char that helps lock in the juices. Could be my imagination, but it seems to me that cooking them on a grate just channels the juices out from between the hot rods. I've never had a problem with dry burgers. 80/20 mix and don't overcook. One trick I learned for leaner meat (from Paula Deen of all people) is to add a little water to the burger as you form the patties. Be sure to add that dimple. Restaurants would think nothing of reserving rendered burger fat and dribbling it on burgers before serving them.